Church Marketing Plan Tool - Marketing isn't a dirty word. Marketing isn't about sales. Marketing is about understanding your community and using the tools available to speak most effectively to them. The Church Marketing Plan Tool (CMPT) is designed to help your church leadership create its own unique and effective marketing plan through two phases: phase one - research and vision, and phase two - strategy and implementation. Web hosting with WordPress/ www.umcchurches.org - United Methodist Communications offers an affordable web hosting service, which includes WordPress branded themes and plug-ins. The service starts at less than $10 a month. Free Branding/Logo Service - United Methodist branding can make a real difference for your church or ministry, and United Methodist Communications offers branding and logo development services at no additional cost to you. To place your request, please email brand@umcom.org with a description of what is required. Include your church’s name, city and state, and any vision statement or tagline associated with your church. United Methodist-branded Stationary - Download United Methodist Church stationery templates that can be used to customize business card, letterheads and envelopes. The Art of Story - Create your church's narrative and build your storytelling skills through a website and social media, and find leadership support, tips and tools to support your church's communication ministry. YouTube for Ministry -with its 1.5 billion users, YouTube is a valuable social media tool that churches can incorporate into outreach and communication plans. Get started by registering for the live learning session: YouTube for Churches, on Sept. 12 at noon central time! This session will cover the basics of YouTube as well as in-depth tips. You can even ask the experts from United Methodist Communications all of your YouTube-related questions! Apply for a Facebook grant by Mid-September - Does your church attendance average 500 or fewer people on Sundays? A new Facebook grant is available just for you! 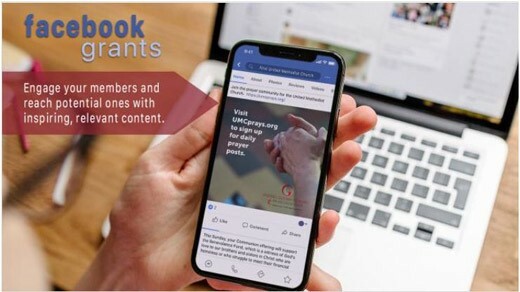 The opportunity offers one year of Facebook content, including six posts per week, which will keep your page active — a key way of connecting your church with your community. Act quickly, the grant application window will close in mid-September! 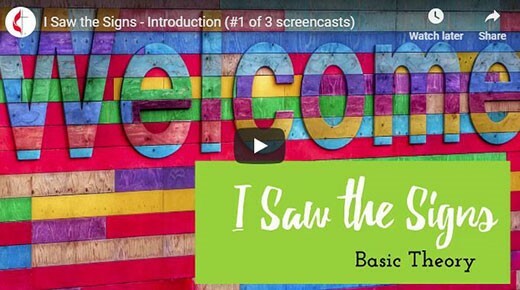 I saw the signs (Screencast, part 1) - A new three-part MyCom screencast explores the vital importance of church signage and outlines how your church can ensure interior and exterior signs are endurably effective. Learn about key components that make a sign successful, how to conduct signage audits, how to choose new signage and more. Subscribe to MyCom to discover useful church marketing tips like these in your inbox twice each month!